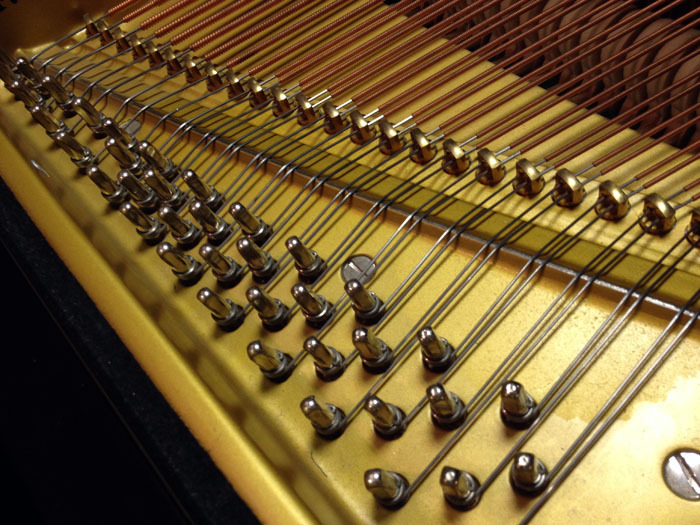 I like many Grotrian-Steinweg pianos – I was brought up with a 185 grand (from 1896) – but this new 2 metre something grand has proximal plate bearing bars that will become a tuner’s nightmare. 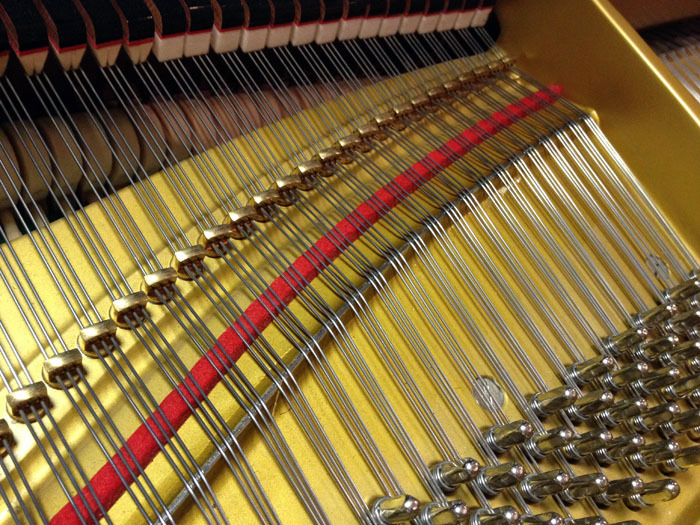 (One of my friends recently described how he wakes up in a cold sweat, some mornings, thinking of the pianos he’s got to deal with that day!). There is such a steep angle to the agraffes that the amount of tuning drag already requires the use of Protek lubricant (applied to the plate bar with a needle in tiny amounts – any excess wiped away). 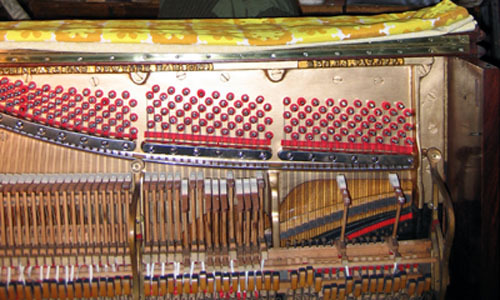 I expect to have to do this on some older pianos kept in poor conditions, but this plate design makes a piano old before its time! Not good, Grotrian! (steep angle doesn’t show well on these pics). This entry was posted in Technical and tagged plate bar drag. Bookmark the permalink.